​This "To Do List" is a starting point on some things we can do to bring more awareness to Trigeminal Neuralgia and all Facial Pain Disorders. We do them in between pain and what we call a low pain day. Sometimes our family and friends wants to help but not sure on what they can do, so show them this list. Tell them they can help you and everyone that suffers with a facial pain disorders by bringing awareness, education, fundraising and donations. Donations going to the Facial Pain Research Foundation is for research being done now for all facial pain and neuropathic Pain. Pick a task and spread awareness! #3: Find Information on Sponsorships program (like Amazon Smile) to support us with charitable contributions going to the FPRF as well as awareness. #4: Promote, share and use this clickable link: Amazon Smile Program to bring donations to the FPRF. How much of my purchase does Amazon donate? The AmazonSmile Foundation will donate 0.5% of the purchase price from your eligible AmazonSmile purchases. #5: Promote, share and use our very own TN Awareness Store which all royalties go to the FPRF! #6. The FPRF is not only researching for a CURE for TN but for All Facial Pain Disorders and Neuropathic Pain. #7: Contact Dental Associations in every Country to send out information about Trigeminal Neuralgia as well as Facial Pain Disorders. #8: Share your story, photos, poems and wisdom about Trigeminal Neuralgia and Facial Pain Disorders. See our TN Photos! #9: Contact Nursing School and Programs to check if we can offer them information on Trigeminal Neuralgia as well as Facial Pain Disorders in their Training Manuals. #10: If you're a writer and/or Blogger share news, updates and information to bring awareness on TN and Facial Pain Disorders. Also we could use help with letters to magazine and newspaper with our story, about awareness and for sponsorships. #11: Bring your hidden passions and skill to bring awareness to Trigeminal Neuralgia and Facial Pain Disorders on the low pain days and maybe ask a family member or friend to help. 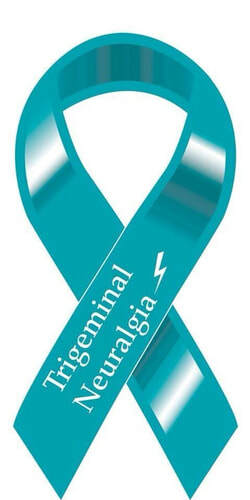 #12: Bring Awareness to your EMERGENCY ROOM Physicians concerning Trigeminal Neuralgia and Facial Pain Disorders. #13: Look for listings of Healthcare Seminars which are taking place in various Nations around the world request that they integrated Trigeminal Neuralgia as well as Facial Pain Disorders. #14: Major League Sports Charities! We need to reach out to our Sports Team in all Countries! What do they need from us to help with awareness, Light Up Teal and donations to The Facial Pain Research Foundation? #17: Bring awareness to our TNA/FPA Associations and Support Groups. Web-sites and public support pages to educate, raise awareness and share the latest information about TN, information to help you cope with the pain, etc. This information is provided for all to share.